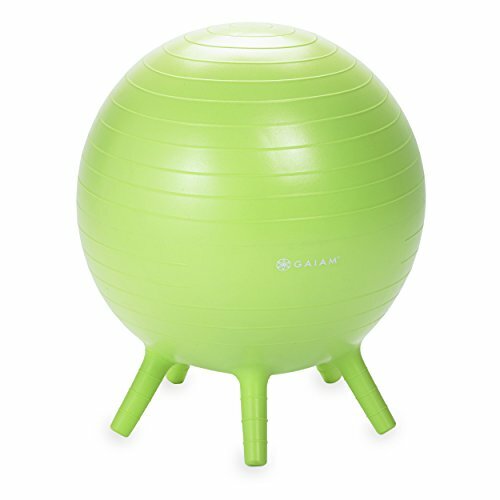 This best-selling balance ball is now available in two sizes! Kids size (45cm) for kids ages 5-8 and a Junior size (52cm) for kids ages 8-12 or anyone who may need a little extra height. Also, features four built-in soft stabilizing legs so it won't roll away when not in use. 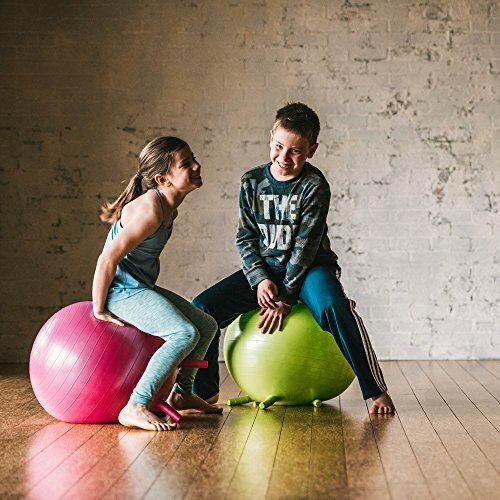 Encourages kids to learn and practice healthy posture while teaching concentration, balance and calm - even in the face of too much silliness. 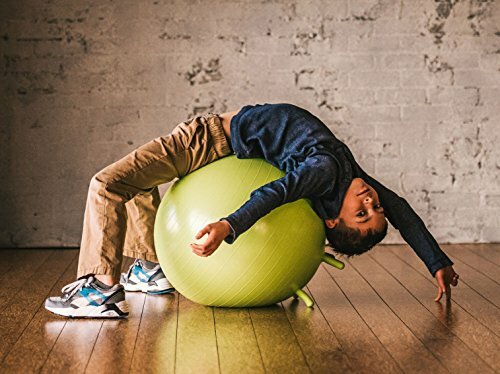 The constant ball movements keep the body active and the mind engaged simultaneously and work to increase blood flow to the brain, leading to better focus and concentration all the while helping to shake out the wiggles and work out those funny bones. Box also includes easy-inflation pump. Setup, Usage Tips and Care and Safety Guide to get you started!